Tools developer Richard Rosenman has released DOF PRO v5.0: a major update to the depth-of-field generation plugin for Photoshop and compatible image-editing software. New features include support for custom camera aperture maps; optical vignetting; spherical, chromatic and achromatic aberration; tilt-shift effects; noise recovery; and region rendering. First released in 2005, and formerly known as Depth of Field Generator Pro, DOF PRO is one of the most fully featured depth-of-field systems currently available. The plugin adds highly user-controllable depth of field effects to 3D renders or photographic images based on a depth map captured from the same camera position. According to Rosenman, the new release – the first since 2013 – is the product of a full year of R&D, with “every subtlety in the world of optics [having] been carefully studied and many implemented”. As well as big, stylised effects like the new Photoshop-style tilt-shift blur effect, that means some quite subtle systems for mimicking the properties of real-world camera lenses and apertures. That includes support for variable aperture shapes, including circular, polygonal, notched and catadioptric apertures – the latter of the type seen in microscopes and telescopes. The plugin also includes aperture types generating optical vignetting and astigmatic effects; and supports custom aperture maps. 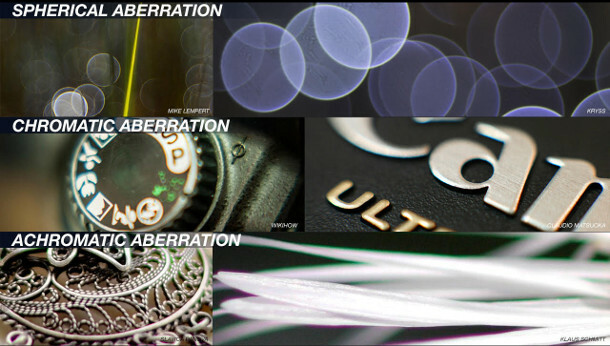 Version 5.0 of the software also adds support for a wide range of lens aberration effects: not just the standard chromatic aberration, but achromatic and spherical aberration. The two former effects produce coloured fringing around objects – there’s some discussion of the differences in the online documentation – while the latter produces soft blur effects around light sources. There are also a number of new features for adjusting the visual quality of a DoF image as a post process. The two new enhancement functions, edge enhancement and highlight enhancement, reduce visible artefacting around object edges and enhance bokeh effects in the highlights of an image, respectively. There is also a noise recovery function, which adds noise back into an image to replace the real-world grain lost during defocusing; and photometric burnout, mimicking the erosion of an object’s silhouette when seen against a very bright background. Under the hood, the plugin is now fully 64-bit enabled, and now supports 16-bits-per-channel images. There is also a new region rendering tool, which enables users to limit the part of the image to which a blur effect is applied to a marquee selection, speeding up iteration while developing the look of an image. All in all, it’s one of the biggest updates to a plugin we’ve seen in a while. You can find a full list of new features at the foot of the webpage linked below, although not all are described in detail. 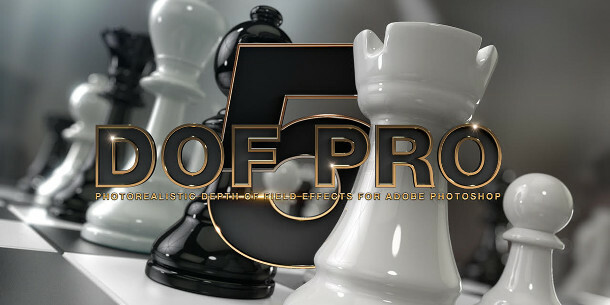 DOF Pro v5.0 is available for Photoshop CS5+ running on 64-bit Windows XP+ only. It also works with a number of other image-editing packages, including Illustrator and Corel’s Painter. It costs $99.99.